Is it because the edges circled with yellow aren't in same line? This sentence is making a comparison with the previous image and is related to the description in the top paragraph of the book page. It's true the terminology used is somewhat complicated. In other terms, what it's trying to explain is the more axes of alignment there are on a page, the stronger the composition will be since the objects seem to have a firm support. It has no any relation to the end of the text frame, the yellow ellipsis at the question. 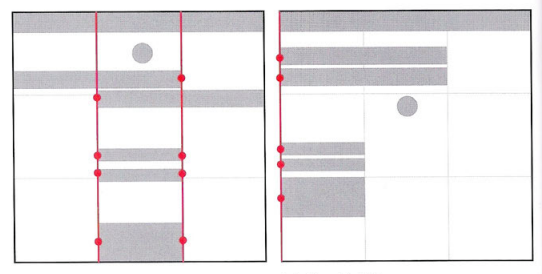 Actually, looking at the gray elements of each image they are exactly the same. 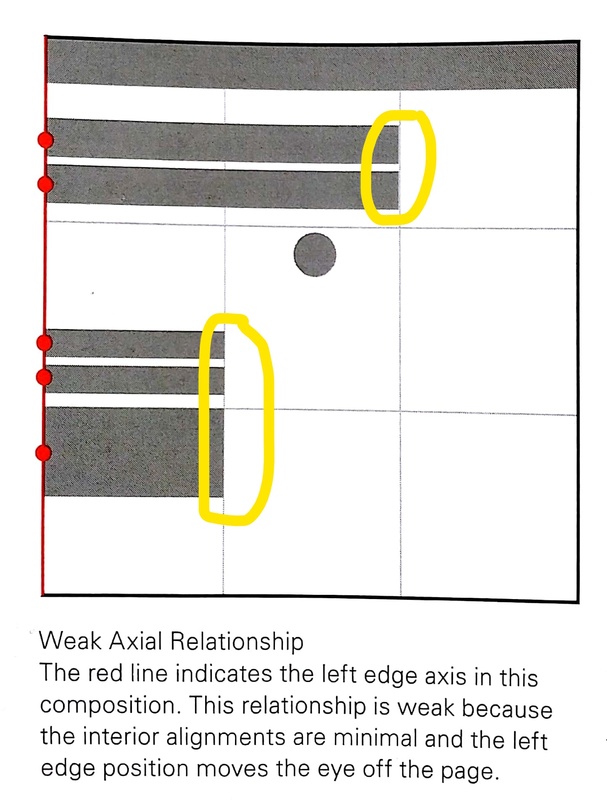 Having just an edge axis the interior alignments are minimal...: there are just five red support points, while the left image with two axis has eight. It's at the page boundary, when reading and jumping from a line of text to the next, the eye tends to move out of the page and not going to its content. Try to see it as a shelf with vertical supports, which of both has greater stability? Not the answer you're looking for? Browse other questions tagged typography alignment or ask your own question. How do I create a solid line of uniform thickness inside of a letterform in Illustrator? For web content, is it better to use an entity or the actual character?